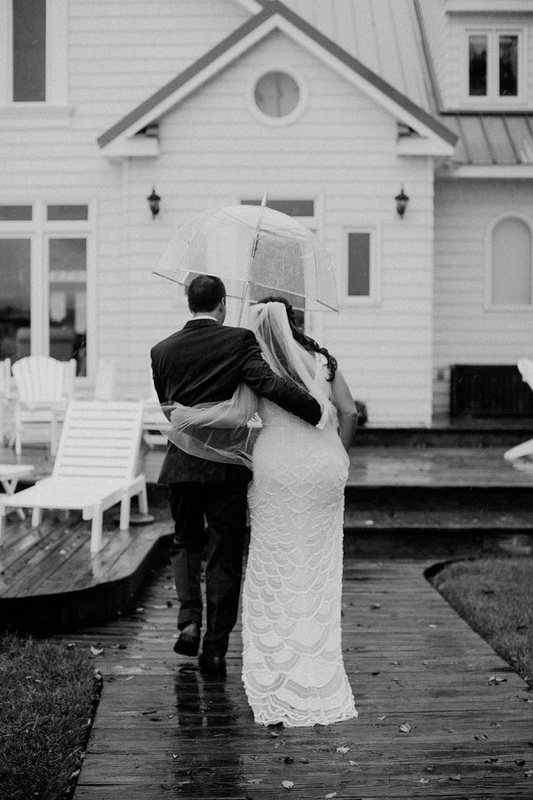 Hurricane, schmurricane! 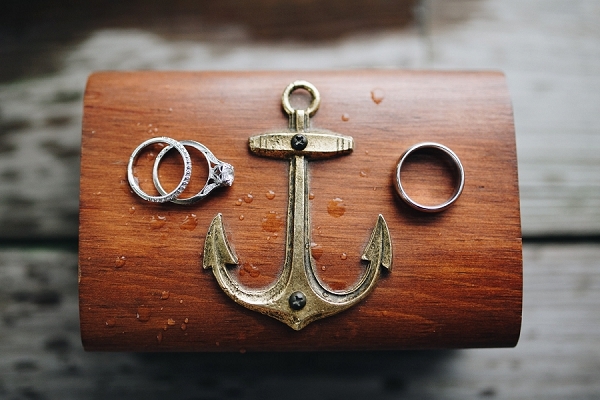 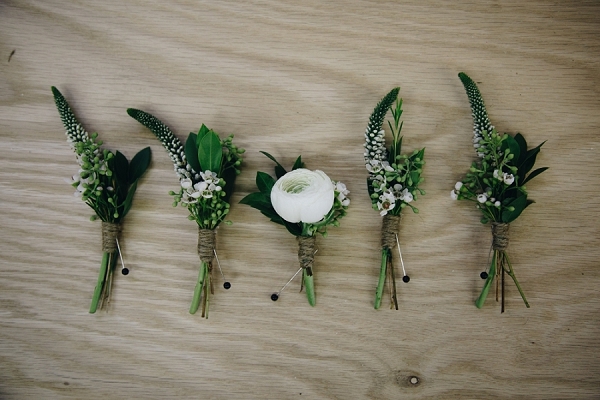 There is nothing more fitting for a rainy day than having a fun-loving couple with a stunning nautical-themed wedding! 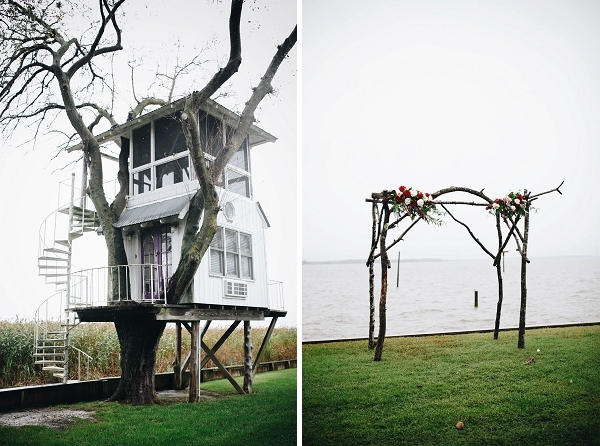 Jessie and Drew decided to embrace the wet weather and got married in riverside style in Tappahannock. 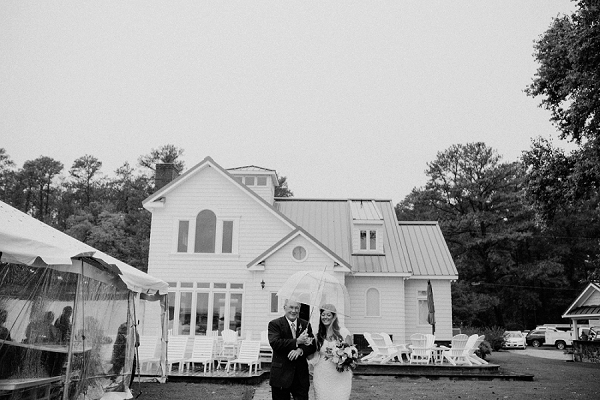 Elevated Events of Virginia planned each element of this unique day so that, even in the middle of a hurricane, it all went off without a hitch. 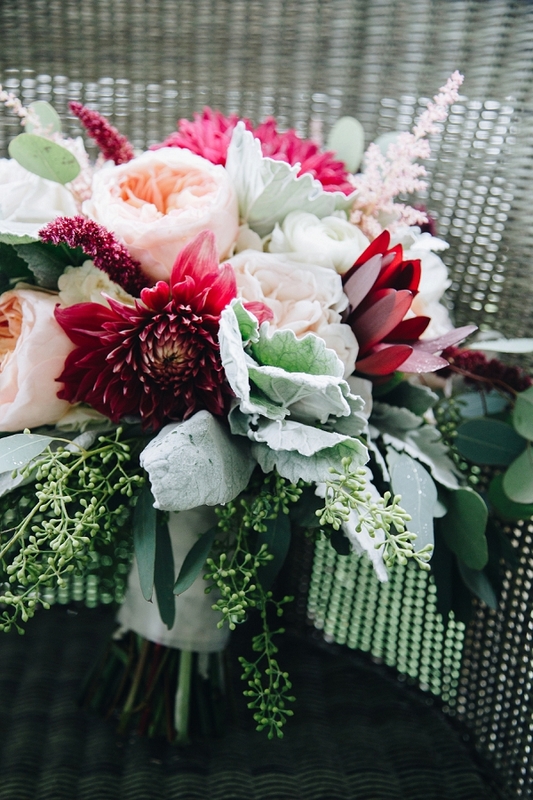 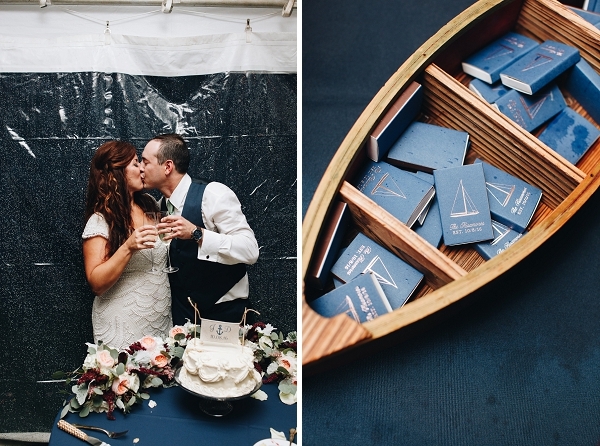 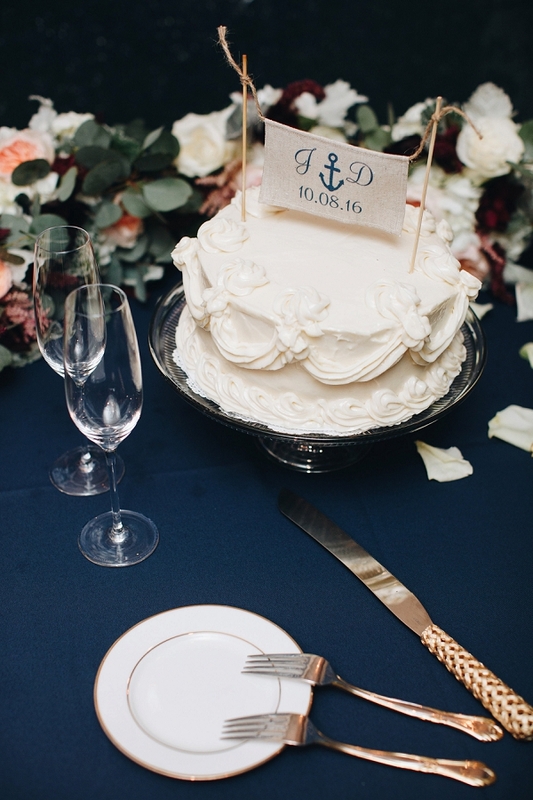 From matchboxes etched with sailboats to a custom-built beverage cooler row boat by her father and anchors decorating the cake topper, everything about Jessie and Drew’s day centered around their water-inspired location and pops of crimson red amidst the navy blue. 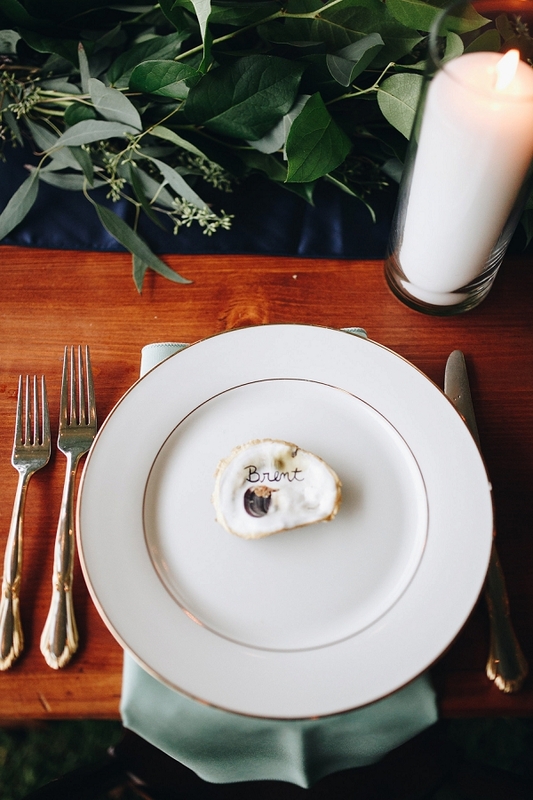 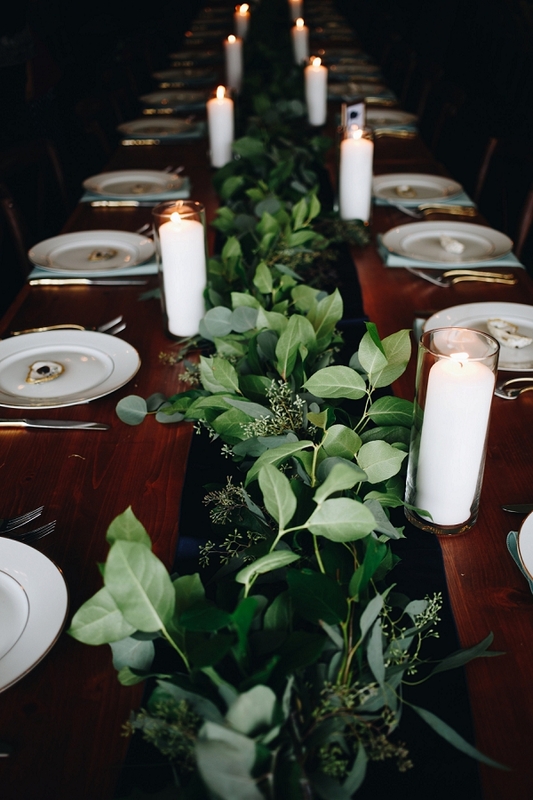 The intimacy of hosting a wedding at their home was carried through by a candlelit reception dinner and long, family-style tables adorned with oyster shell place cards on top of gold-rimmed place settings. 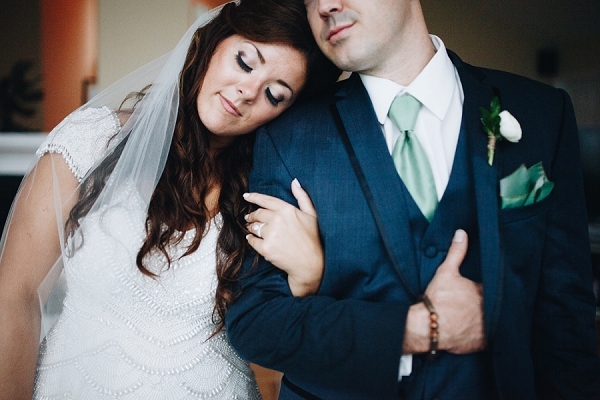 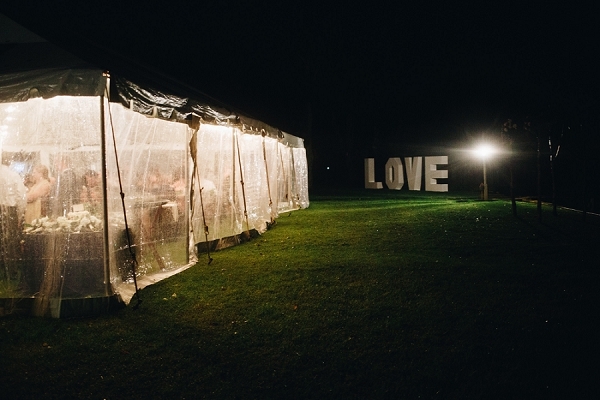 A Girl Named Leney photographed both the beauty of the wedding and the quiet, sweet moments between Jessie and Drew as they celebrated the beginning of their marriage with a kiss under an umbrella and a night they would never forget.